After settling in for the evening at a campsite we would attempt to review the day and take notes to aid in maintaining a journal of the travel. We would often use a digital recorder to assist in this task. On this day, we captured one of our intellectual conversations about the challenges of travel - entering a new time zone, the Atlantic Time Zone, which includes the Maritime Provinces. 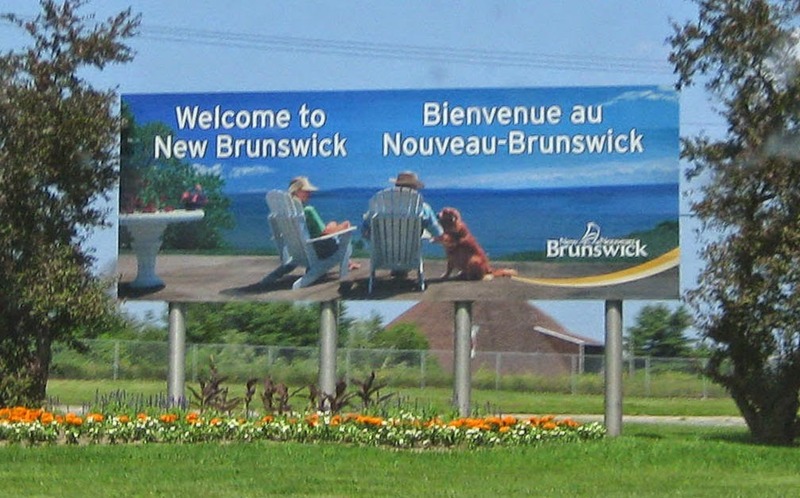 Here, early on our travel into New Brunswick, Tracy is trying to reconcile the time on her Casio watch with the local time. As recovering academics, we often had such conversations as we tried to explain the various natural and unnatural phenomena we observed, such as the surprises of the diverse geology, or the mystery of poutine as a popular menu item. We had a lot of fun solving the riddles of the universe. There should be a slide show video with audio below. We hope it works for all of you. If not, please send us an email or comment. To clarify the confusion on time zones, Atlantic Time, which includes New Brunswick, Prince Edward Island and Nova Scotia, are 1 hour ahead of Eastern Daylight time (New York time). However, if you are in Labrador or Newfoundland (the other Maritime Provinces we did not visit), you are in Newfoundland Daylight time, which is, oddly enough, 1 ½ hours ahead of Eastern Daylight time, or ½ hour ahead of Atlantic Daylight time. But there appear to be some exceptions to this depending upon where you are in Labrador, in which case you may be back on Atlantic Daylight time. We hope that ends the confusion.